Please join us for the next LPNA Tweetup. Tweetup’s are another name for a happy hour. There is no agenda – just come and join us for a little while or for the whole time we are there. You’ll get to meet lots of new people, reconnect with old friends, meet our Alderman and Neighborhood Improvement Specialist and try out a new restaurant or enjoy food and drinks from a firm neighborhood favourite! We usually have a good turn out and it’s a pretty festive meet up. This month we will be meeting at Ari’s Restaurant. 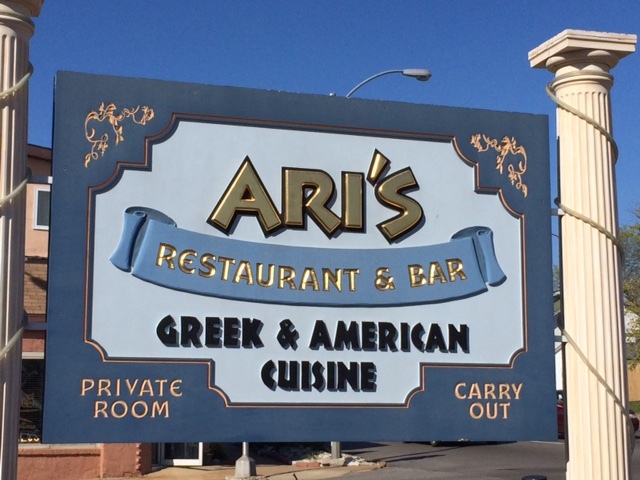 Ari’s has been in our neighborhood since around 1994 and is a firm favourite amongst residents. They offer a Greek and American cuisine, a great festive atmosphere and a great space for happy hours – just remember that you are responsible for paying for your own food and drinks. Opa! Royal Banks of Missouri is currently collecting non-perishable food items for a food drive benefitting Timothy Lutheran Church Food Pantry. We would love to support this venture as a neighborhood, so please consider bringing any non-perishable items to Tweetup and we will forward everything collected to the organizers. The program runs through April 30th so if you’re not able to make it to Tweetup, non-perishable food items can be dropped off at Royal Banks of Missouri, 3534 Watson Rd. Suggested items are: dry or canned beans, cereal, juice, peanut butter, canned fruits, soups, meats and vegetables etc. We hope to see you and your non-perishable food items at Tweetup at Ari’s on the 26th.